. . . intimidating left-back Stuart ‘Psycho’ Pearce, a qualified electrician, simply wants an arrangement that protects trade wages by ending the free movement of cheap labour. All of which is fiction: I have no idea what these ex-footballers think about Brexit and how they wish the government to proceed from here. Nor is there is there any reason why the views of those or any other members of England’s 1990 World Cup squad should be of the slightest significance. So why has a former teammate from Italia ’90 who publicly is supporting the campaign for a so-called People’s Vote become headline news? Answer: because it is Gary Lineker, his political reflections deemed newsworthy because he is both conspicuously Left-leaning and a media, ahem, personality – a combination that guarantees the attention of bien-pensant liberals and which accords him a wider audience than his opinions necessarily deserve. His exposure explains why earlier this month it became widely known that Lineker had censured Boris Johnson for ‘jumping on the football bandwagon’. In fact, all Boris had done was issue a bland congratulatory message to the England team, one which was little different (except for having correct spelling and punctuation) from countless other similarly trite tweets sent during the World Cup by politicians and other public figures. It might be individual animosity that led Lineker to single out Boris, though one suspect Gary is antipathetic to most Tories, certainly the Brexiteers, and disdains those who do not share his public pieties – for example, anyone who was troubled by grown men entering the country as orphaned child refugees. 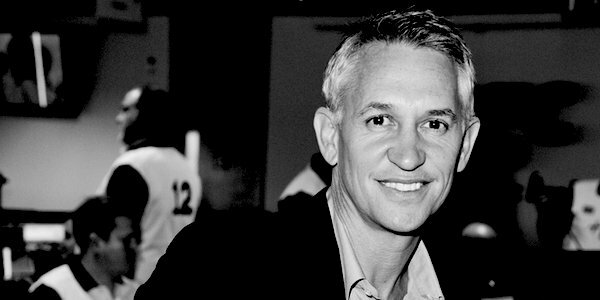 Though prone to soapy sanctimony, Gary Lineker is entitled to his views. And credit to him for having transitioned from expert goal-poacher to competent – no more, no less – broadcaster, though as a presenter Lineker very much remains ‘Junior Des’, the sarcastic nickname awarded by teammates during the 1990 finals because of the time he spent studying the work of laid-back Lynam. What continues to astound is that Lineker is by far the BBC’s highest earner, the Corporation’s latest pay list reporting him to be on £1.75million-worth of compulsory licence fees. It remains mystifying how Lineker and his agent ever secured such a package; however, they can hardly be blamed for taking what was offered, and the wrongdoers are whoever within the BBC negotiated and approved this obscene largesse. The BBC now pays Lineker more than either Chris Evans or Graham Norton; whatever one’s opinion of this pair, it is their personalities which, for better or worse, carry their shows and attract audiences. By contrast, it is inconceivable that anyone watches Saturday evening’s Match of the Day highlights or the BBC’s occasional live coverage because Gary Lineker is in the chair. Few would bother if he were permanently replaced by, say, Mark Chapman, who for ‘only’ £220,000 already hosts Sunday evening’s MOTD2 and anchors sports coverage on Radio 5 Live, and is but one example of someone my eyes and ears find preferable to the crisps salesman. Should there actually be other broadcasters seeking to poach Lineker, and suitors willing to match or better his current £1.75million, then more fool them; for such folly, those stations can answer to shareholders and voluntary subscribers. If Gary Lineker truly has been in demand at this rate, then the BBC should long ago have waved him goodbye. With Cliff Richard having been awarded damages of £210,000 and the Corporation agreeing to contribute £850,000 towards Sir Cliff’s legal costs, one consequence of the BBC’s shameful part in that police raid is even greater pressure on the, um, unique way in which the BBC is funded. There is no better time to jettison, at the earliest opportunity, the person who is the biggest single drain on the licence fee and allow Gary Lineker to spend more time expressing his ‘personal political views’ – which, according to a sanguine spokesman, ‘do not affect the BBC’s impartiality’. Okay; although in the unlikely event that a BBC presenter controversially was supporting some politically contentious cause less dear to the Corporation, it is doubtful there would be quite so relaxed a response. A spurious ‘People’s Vote’ on the final Brexit deal (should there be one) is straight from the EU playbook of repeat balloting until the desired result is achieved. Its advocates seek to re-run the referendum and overturn the 2016 vote but lack the honesty to say so openly; instead, their campaign is for the chance unhesitatingly to oppose whatever the deal might be, in the hope of clinging to EU membership. Feel ashamed of my generation. We've let down our children and their children. Even before Lineker’s recent pronouncement, it would have been widely assumed he was already aboard this campaign. The news that Gary Lineker supports the anti-democratic effort to reverse Brexit was hardly a revelation, and can have surprised no one. Previous articleWith police lying low, how long before vigilantes patrol our streets?